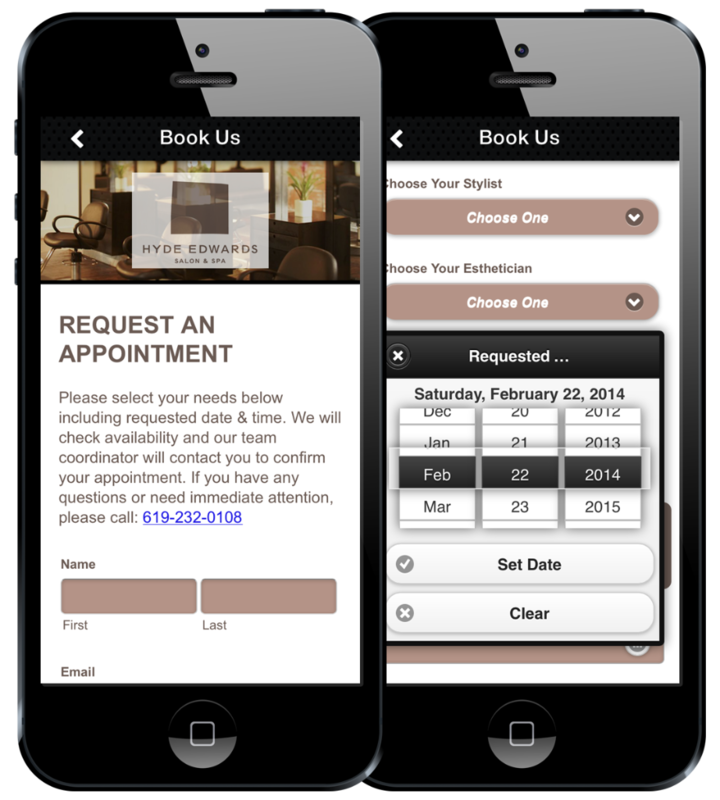 With UPG Mobile Marketing Group’s Scheduling System, clients can book appointments with a few easy clicks directly from your app! The Reservations System is customizable to meet the needs and times of your business. Both parties will receive email confirmations when a reservation has been completed or cancelled. Choose a location. If you have multiple locations your clients can choose the appropriate one. Choose a service. You can require a deposit on services to help minimize cancellations. Payment is taken through Paypal. Clients are asked to login or create one if they do not already have one. Once all steps are complete both you and your client will receive an email confirmation. If you the time requested does not work you can respond to your client asking them to change to a different time and date. Upon canceling both parties will receive a cancellation notification. You can manage your reservations right from our back office system as well as change parameters such as adding a reservations deposit. This reservation system can easily be integrated into your website as well. 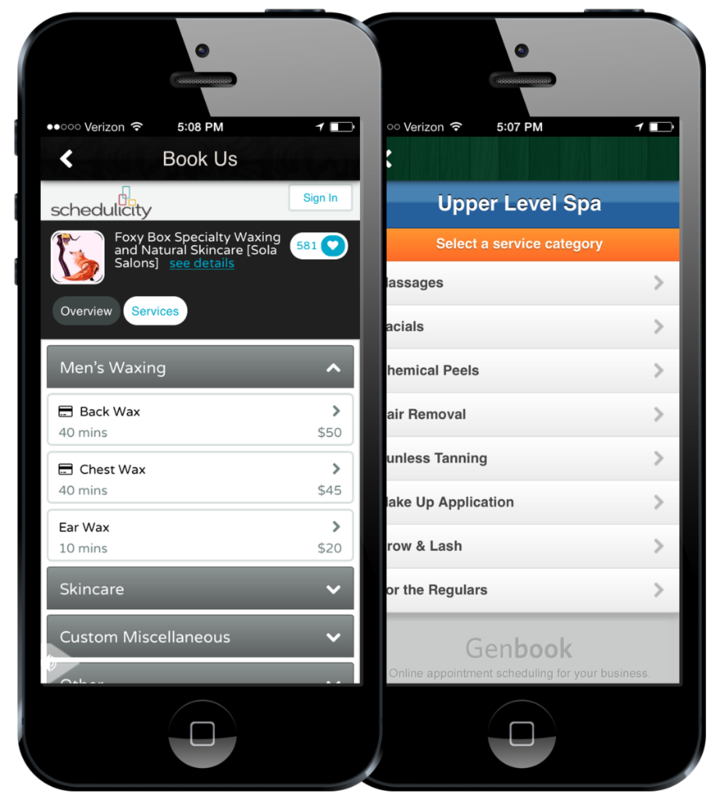 If you already use a scheduling system like GenBook, Mind & Body, Schedulicity, or even Open Table we can integrate it right into your Mobile App seamlessly. If you don't have one click below and sign up with one of our preferred partners for exclusive discounted offers.